Sebastien and Lucien spent 23 days training in Riva, followed by 22 days in Weymouth over the summer months. “We have discovered that we can spend 24 hours a day together and still remain keen! With two sessions of two to three hours a day, that is good news!” The young men from Geneva are being coached by Simon Hiscocks and were training with the Hunter brothers, the Scottish team that won the UK Championships in Poole. Team Tilt finished fourth overall – a good result for their first competition. “We even won the first leg!” said Cujean. The team will set off for Spain on the 7 September immediately after the close of the Decision 35 regatta, Grand Prix Grange & Cie. “We have had some good training this summer, the team has been very available due to the school holidays. The young are always motivated – it is great!” said Cujean. 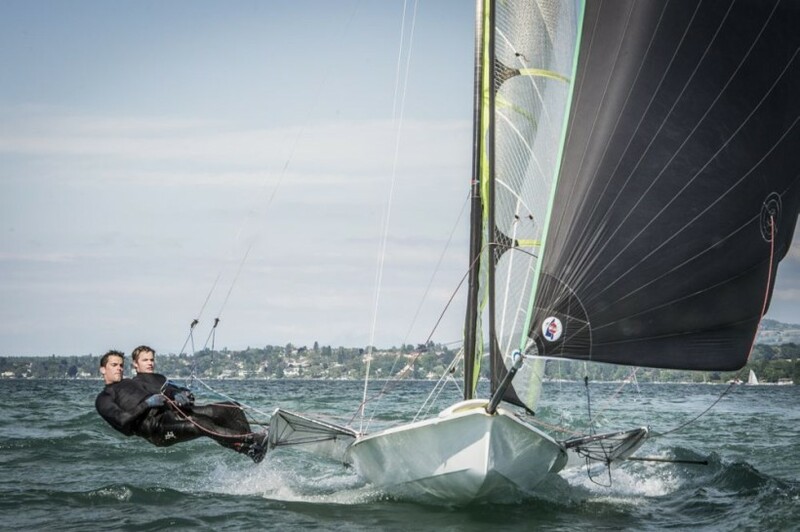 Sebastien Schneiter will replace Lucien Cujean on the Decision 35 helm for the second half of the Decision 35 season that kicks off in Versoix on the 30 August; he last helmed the multihull at the Geneva-Rolle-Geneva and the Bol d’Or in June.